Movie Clapboard. A nice gift for those who are lovers of good cinema, who knows if they find a great director! If you like movies, and you've ever imagined directing a movie, you have to have to start a film slate. No matter if you're action movies, romantic comedies ... you have a metronome in the movie of your life. Made of wood, where you can write with chalk all shots and scenes you want. 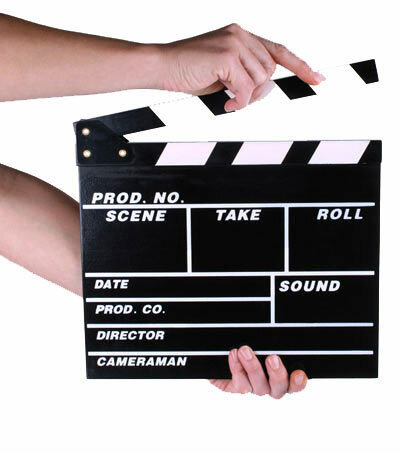 Movie Clapboard measures: 27 x 26 cm.